Definitely not what I expected - in the good and the bad way. First 200-300 pages had me laughing and anticipating what will happen next. The characters are funny and crazy (the type of crazy that's fun to read about but wouldn't be so much fun to be with), of which Brandt is my absolute favorite. The plot was interesting and it kept me going despite the disheartening page number. 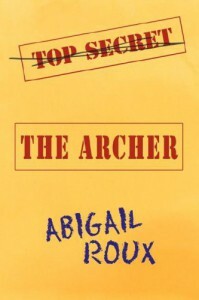 However, what I really wanted to know was who the Archer is and as soon as I found out, it all went downhill for me. The amount of Shawn/Remy drama went up, the amount of banter among the MCs down (though Brandt was still great fun), and it seemed to me as if the writer lost track of the plot - as if up to the point of exposing the Archer she had everything in order, and then didn't know what to do with the plot after that. The ending lacked a conclusion - and since I didn't see any info on a sequel, it left me fairly disappointed.